Iron-rich stars host planets on closer orbits than their iron-poor siblings, astronomers find. 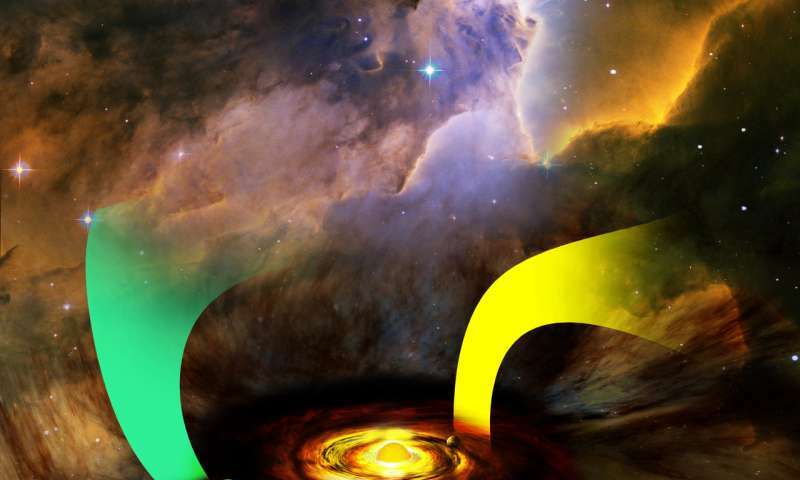 The results could help reveal how planets form. The more iron a star contains, the closer its planet’s orbit. And astronomers aren’t quite sure why. Robert Wilson, a graduate student at the University of Virginia, announced the puzzling result at a meeting of the American Astronomical Society in Washington, D.C.
Stars are mostly hydrogen and helium, with just a smattering of heavier elements. Since stars forge heavy elements in their core, the ones we see on the surface come from previous generations of stars. The longer a star’s lineage, the more such elements enrich it (or pollute it, depending on your point of view). The heaviest element a star can make is iron, so its abundance serves as a proxy for the presence of all the other elements in the star, or in astro-speak, the star’s metallicity. Planets form out of the same natal gas as their parent star. So a star’s high metallicity is a sign that its planets came together within metal-enriched gas. Previous studies [Nature] have found that metallicity plays a role in planet formation — but astronomers don’t yet understand how the connection works. Wilson studied metallicity’s effect on planet formation using data from the exoplanet-hunting Kepler mission, a space telescope that imaged a field of stars, looking for the momentary dips in brightness that signal an exoplanet’s crossing. Kepler has found more than 2,500 confirmed planets to date. For roughly half of these, the Sloan 2.5-meter telescope in New Mexico took additional spectroscopic data, revealing each star’s iron abundance. This artist’s conception shows the silhouette of a rocky planet, dubbed HD 219134b, as it passes in front of its star. NASA/JPL-Caltech. To Wilson’s surprise, the stars richest in iron host planets on scorchingly close orbits, while stars with lower iron abundances have planets on farther-out orbits. The results point to different formation histories for the two types of planets. A clear line divides the two groups of planets: iron-rich stars host planets with orbits of 8 days or less, while the farther-out planets circle their iron-poor stars on periods longer than 8 days. Yet the two sets of stars aren’t all that different from each other — the ones labeled iron-rich have only 25% more iron than those labeled iron-poor. “That’s like adding five-eighths of a teaspoon of salt into a cupcake recipe that calls for half a teaspoon, among all its other ingredients,” Wilson says. When baking a planet, it turns out, even a small difference in the metallicity of a planet’s natal cloud can have surprisingly strong effects on its formation. But how? Wilson suspects that higher-metallicity gas makes for flatter planet-forming disks. The presence of heavy elements helps gas in the planetary disk cool and collapse to the centerline — like someone forgot the baking powder when making pancakes. Thinner disks make it easier for forming planets to migrate inward, closer to the star. The next step will be an astronomer’s version of America’s Test Kitchen: Wilson is working with theorists to cook up stars and their planet-forming disks within different metallicity environments to see if they can reproduce the same iron-rich/iron-poor divide. The University of Virginia (U.Va. or UVA), frequently referred to simply as Virginia, is a public-private flagship and research university. Founded in 1819 by Declaration of Independence author Thomas Jefferson, UVA is known for its historic foundations, student-run honor code, and secret societies. UNESCO designated UVA as America’s first and only collegiate World Heritage Site in 1987, an honor shared with nearby Monticello. The university was established in 1819, and its original governing Board of Visitors included Thomas Jefferson, James Madison, and James Monroe. Monroe was the sitting President of the United States at the time of its foundation. Former Presidents Jefferson and Madison were UVA’s first two rectors and the Academical Village and original courses of study were conceived and designed by Jefferson. The university’s research endeavors are highly recognized. In 2015, Science honored UVA faculty for discovering two of its top 10 annual scientific breakthroughs; from the fields of Medicine and Psychology. UVA is one of 62 institutions in the Association of American Universities (AAU), an organization of preeminent North American research universities. It is the only AAU member university located in Virginia. UVA is classified as a Research University with Very High Research by the Carnegie Foundation, and is considered Virginia’s flagship university by the College Board. The university was the first non-founding member, and the first university of the American South, to attain AAU membership in 1904. UVA has been referred to as a “Public Ivy” by various sources. Companies founded by UVA students and alumni, such as Reddit, generate more than $1.6 trillion in annual revenue – equivalent to an economy the size of Canada, 10th-largest in the world. UVA’s academic strength is broad, with 121 majors across the eight undergraduate and three professional schools. Students compete in 26 collegiate sports and UVA leads the Atlantic Coast Conference in men’s NCAA team national championships with 17. UVA is second in women’s NCAA titles with 7. UVA was awarded the Capital One Cup in 2015 after fielding the top overall men’s athletics programs in the nation. Students come to attend the university in Charlottesville from all 50 states and 147 countries. The historical campus occupies 1,682-acre (2.6 sq mi; 680.7 ha), many of which are internationally protected by UNESCO and widely recognized as some of the most beautiful collegiate grounds in the country. UVA additionally maintains 2,913-acre (4.6 sq mi; 1,178.8 ha) southeast of the city, at Morven Farm. The university also manages the College at Wise in Southwest Virginia, and until 1972 operated George Mason University and the University of Mary Washington in Northern Virginia. In a startling discovery that raises fundamental questions about human behavior, researchers at the University of Virginia School of Medicine have determined that the immune system directly affects – and even controls – creatures’ social behavior, such as their desire to interact with others. The follow-up finding is equally illuminating, shedding light on both the workings of the brain and on evolution itself. The relationship between people and pathogens, the researchers suggest, could have directly affected the development of our social behavior, allowing us to engage in the social interactions necessary for the survival of the species while developing ways for our immune systems to protect us from the diseases that accompany those interactions. Social behavior is, of course, in the interest of pathogens, as it allows them to spread. The researchers note that a malfunctioning immune system may be responsible for “social deficits in numerous neurological and psychiatric disorders.” But exactly what this might mean for autism and other specific conditions requires further investigation. It is unlikely that any one molecule will be responsible for disease or the key to a cure. The researchers believe that the causes are likely to be much more complex. But the discovery that the immune system – and possibly germs, by extension – can control our interactions raises many exciting avenues for scientists to explore, both in terms of battling neurological disorders and understanding human behavior. Kipnis and his team worked closely with UVA’s Department of Pharmacology and with Vladimir Litvak’s research group at the University of Massachusetts Medical School. 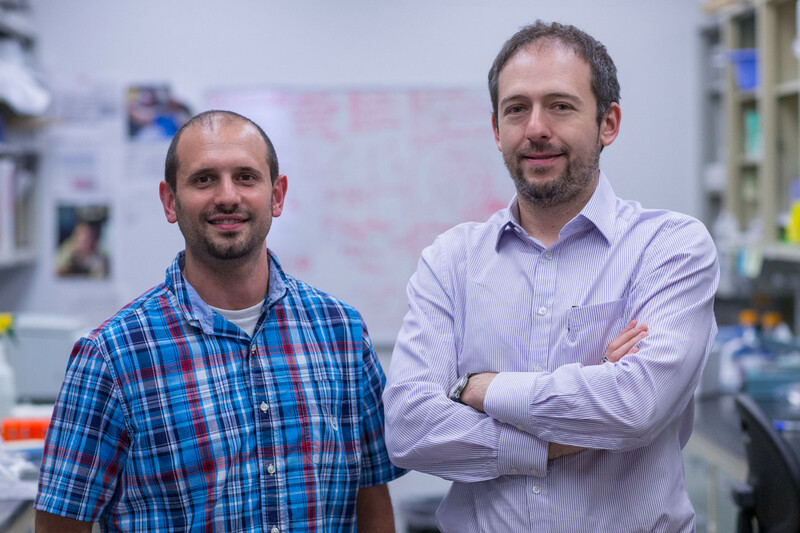 Litvak’s team developed a computational approach to investigate the complex dialogue between immune signaling and brain function in health and disease. The findings have been published online by the prestigious journal Nature. The article was written by Filiano, Yang Xu, Nicholas J. Tustison, Rachel L. Marsh, Wendy Baker, Igor Smirnov, Christopher C. Overall, Sachin P. Gadani, Stephen D. Turner, Zhiping Weng, Sayeda Najamussahar Peerzade, Hao Chen, Kevin S. Lee, Michael M. Scott, Mark P. Beenhakker, Litvak and Kipnis. This work was supported by the National Institutes of Health (grants No. AG034113, NS081026 and T32-AI007496) and the Hartwell Foundation.